A simulation game in which you create and control or observe the lives of virtual humans (“Sims”) in a simplified version of the modern Western world. Sims can learn skills, make friends and enemies, start families and have children, go to school and get jobs, engage in various hobbies, and more - either under their own autonomous decision-making or under the direct control of the player. The game is a sandbox experience without explicit win or loss states and while many systems present obvious goals (such as advancing on career tracks and making lots of money) the player is free to pick and choose or ignore them entirely. As a result, the game is played in very different ways by different people - some use player-derived frameworks of goals and rules, others find hilarious/disturbing ways to torture Sims, still others work through complicated real-life issues and fantasies. This is all true of each of the series’ mainline entries, but each sequel has moved things forward in different ways to different degrees. While The Sims 4 is (arguably) the best stand-alone installment yet, it is clearly the worst sequel yet. Both The Sims 2 and The Sims 3 brought major additions and improvements to the formula. The Sims 4 ’s steps forward (an improved emotion system, a more powerful Build Mode) are smaller and there are also significant steps backward - the interconnected open world of The Sims 3 has been rolled back for performance reasons and at launch the game did not even have swimming pools (an iconic feature since the very beginning) or a toddler life stage (present in both 2 and 3 at launch). These were both patched in later, but overall The Sims 4 and its few overpriced expansions feature less content for more money than The Sims 3 - and this time as an Origin exclusive. 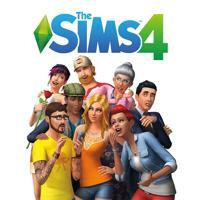 I’m legitimately unsure whether I’d recommend The Sims 3 or The Sims 4 to a new player today. I’ve gotten a lot of enjoyment out of the series over the years and I’m glad it exists and is still playable, but The Sims 4 feels like the beginning of the end for a once-great franchise that is now stagnating instead of growing. I Stopped Playing When: I still fire it up when I want something to relax with in the evenings, but the novelty of the base game content wore off after a few weeks and I am unwilling to purchase the ridiculously-priced expansions.